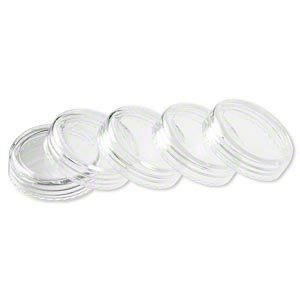 Organizer cap, Space Saver, plastic, clear, 1-5/8 inch round. Sold per pkg of 5. 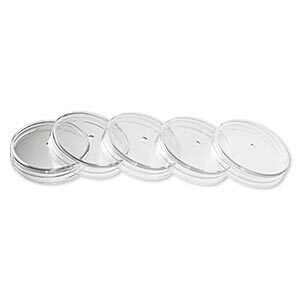 Organizer cap, Space Saver, plastic, clear, 1-3/16 inch round. Sold per pkg of 5.